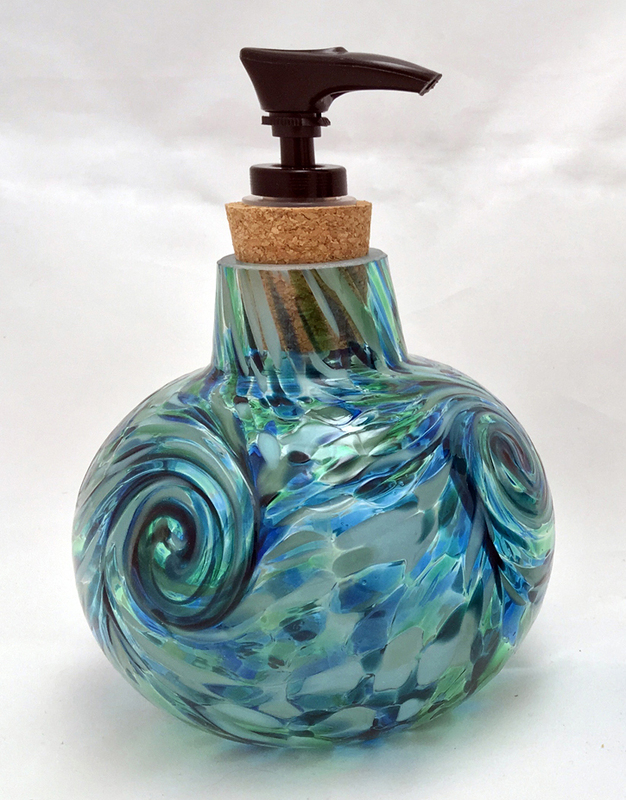 We design our hand blown glass dispensers with durability in mind. They have a stout shape with a stable bottom so they won’t knock over. In addition, we blow the glass much thicker than some of the other items we make, so they will last a long time. Available in a variety of solid colors and Robbins Ranch mixes. 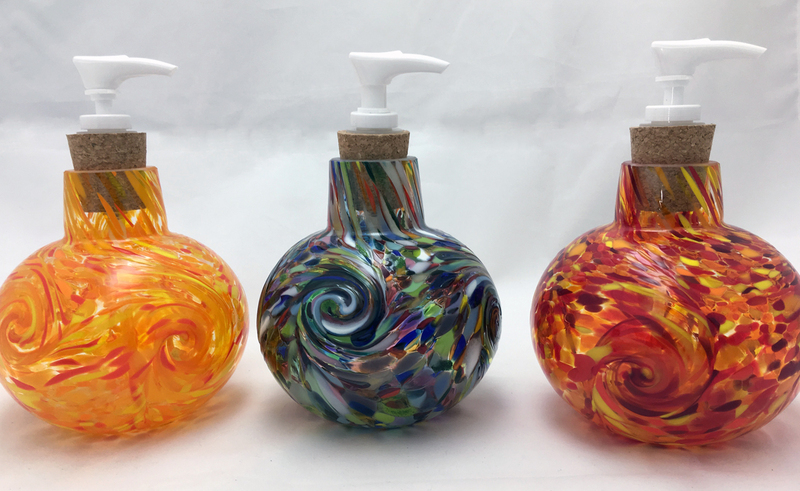 We can also create a custom color mix to match your decor, for a truly one of a kind dispenser to go into your home. 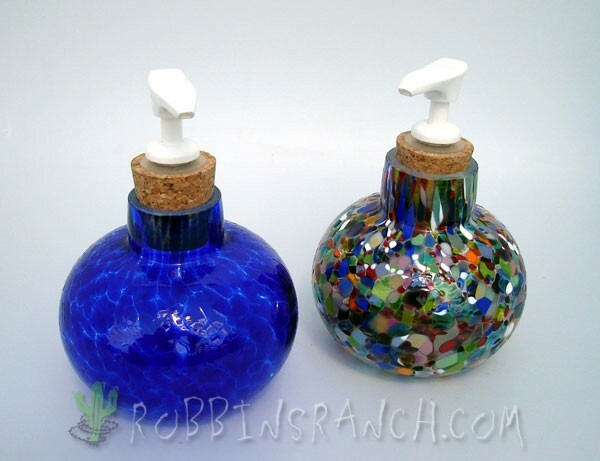 You can use either liquid soap or hand lotion inside and they will hold approximately 24 oz of fluid. 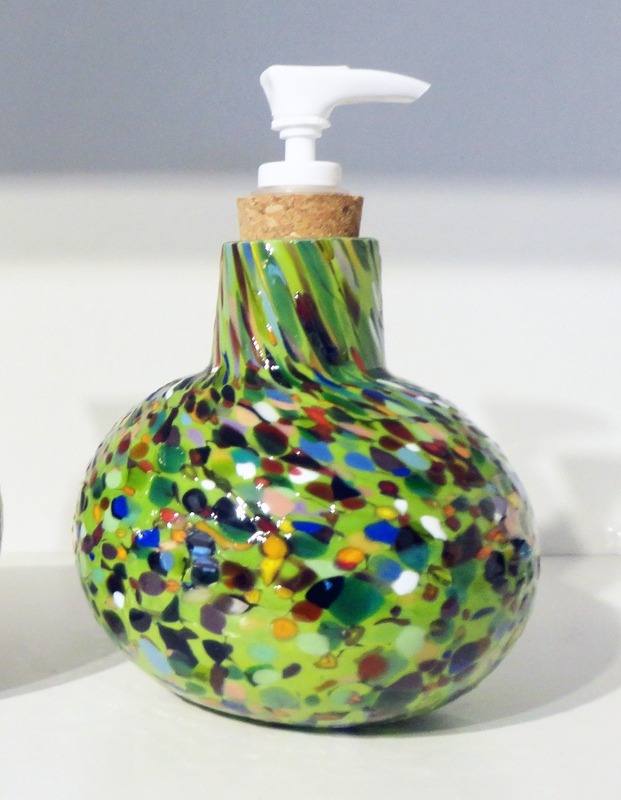 Pair your blown glass dispenser with a matching spice jar to hold Q-Tips or Cotton balls, vitamins or bath salts. Dispensers come with either a white or black pump on top, with replacement pumps available. Please specify your color preference when ordering. 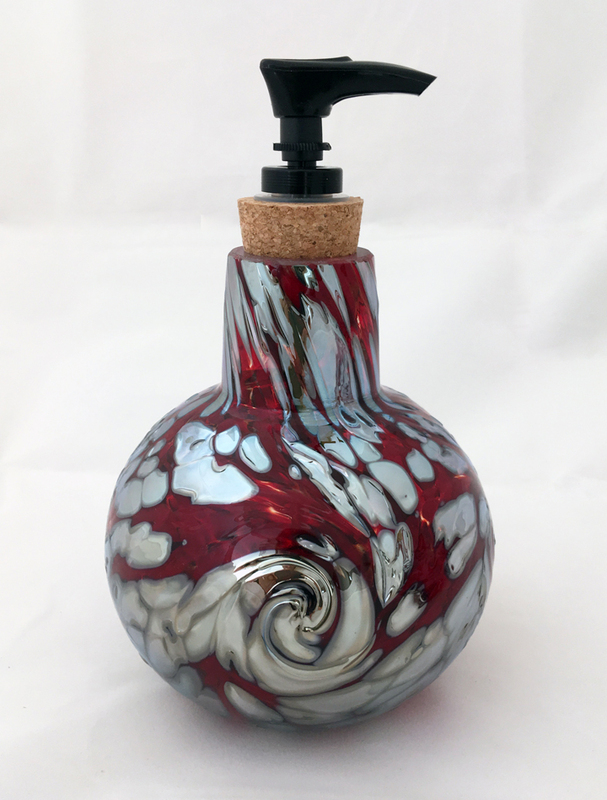 The cork is easily removed from the top and lotion or soap can be added at the opening. Be aware when cleaning your dispenser not to use hot water. 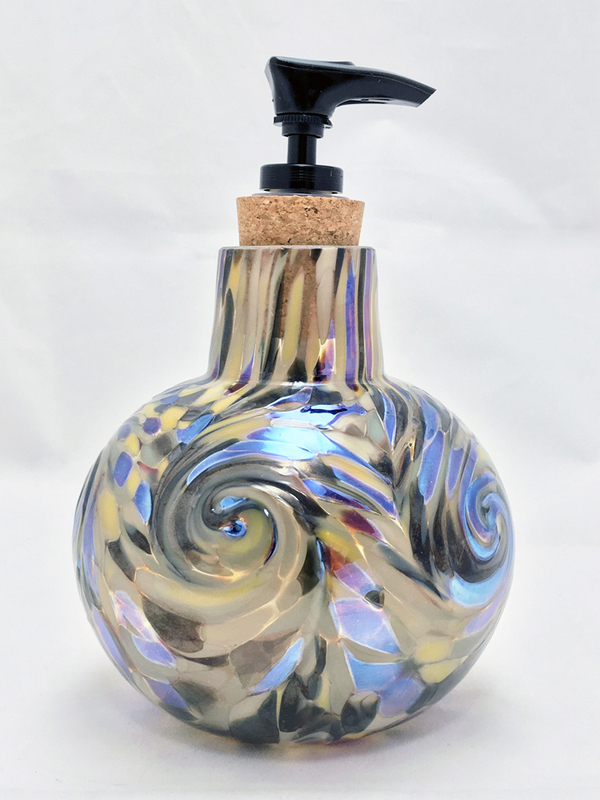 The art glass is sensitive to thermal shock and can crack with extreme heat. Never put into a dishwasher, always hand wash.
To place an order, call (505) 832-2272 or click here to email.